Born in an affluent Afridi Pathan family of Malihabad, 13 miles from Lucknow, Shabbir Hassan Khan “Josh” (5 December 1898 Malihabad, India – 22 February 1982 Islamabad, Pakistan) wrote a lot of fiery patriotic verses, and came to be known as Shair-e-Inquilaab – Poet of the Revolution. 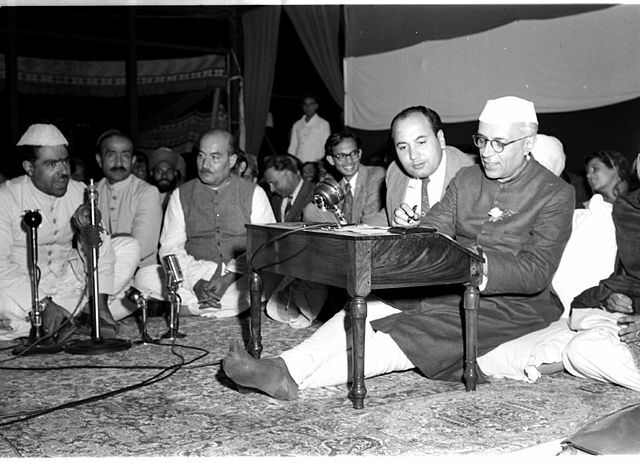 The first Prime Minister of India, Pandit Jawaharlal Nehru, held him in high esteem and hardly missed a chance to attend the mushaira at Lala Kishan Lal Kalra’s United Coffee House where Josh used to be the star attraction. Since he was not sure about his date of birth, one would find different dates of birth (from 1894 to 1898) in various writings. The rebel in Josh was always alive and would never hesitate to crop up in his writings even if it would cost him his job. In 1925, he joined the Osmania University, in the Princely State of Hyderabad, to supervise translation work from where he was exiled for writing a nazm against the ruler, Nizam of Hyderabad. Soon thereafter, he founded a magazine, Kaleem (meaning: interlocutor), in which he openly wrote articles in favour of independence from the British Raj in India. As his reputation spread, he came to be called Shaayar-e-Inquilaab (Poet of the Revolution). He was also a noted journalist and commentator and edited several literary journals, including the distinguished Aaj Kal. 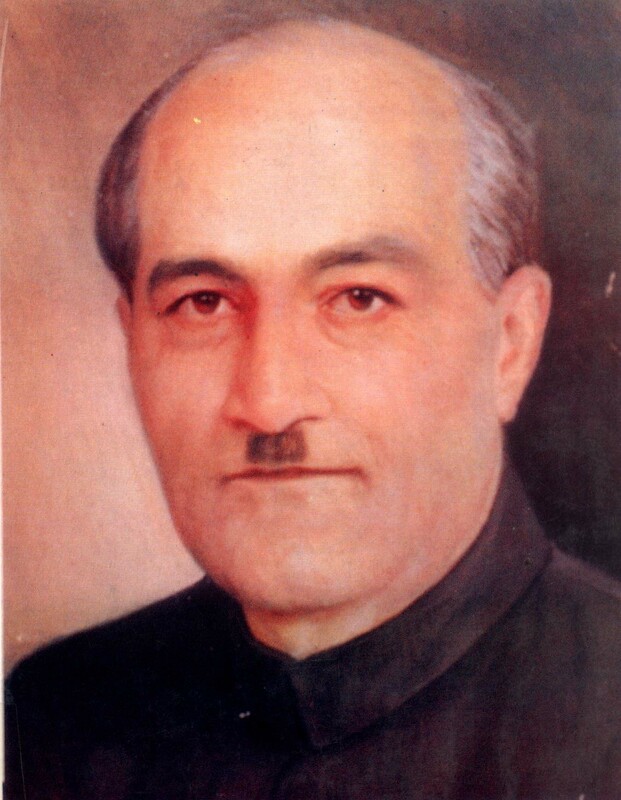 His appointment as the Editor of Aaj Kal, the Urdu journal of the Information Ministry of the Government of India, was okayed by Sardar Patel. R K Murthi has described the episode in his book “Great Men Great Deeds”. Information Minister Patel was in a dilemma. The Union Ministry of Information wanted to appoint Josh Malihabadi as the Editor of “Aaj Kal”. Undoubtedly, Josh was a leading Urdu writer. He had found a niche for himself in the world of Urdu literature. So he was the right man to edit the journal. Set against this were Josh’s political views, which showed communist leanings. Patel was still mulling over the issue when his Secretary V Shankar walked in. “You must have read Josh Malihabadi’s poem,” the Sardar asked him. “Yes. Sir. He is a master of Urdu poetry. He does wonders with words. He has a simple style. His appeal is very direct. He has made a lasting impact on Urdu poetry. He will remain, forever, a star on the Urdu literary scene,” Shankar replied. “Aha, you seem to hold him in high esteem,” Sardar Patel remarked. “Of course, Sir. He speaks for the masses, he reflects their hopes and aspirations in the songs. He raises his voice in protest against injustice and inequality. He demands a fair deal for all. He is almost militant when he calls for social justice,” Shankar added. “No doubt, he has communist leanings,” Shankar admitted. Patel even penalised his department Secretary N C Mehta for delay in issuing the appointment letter to Malihabadi. 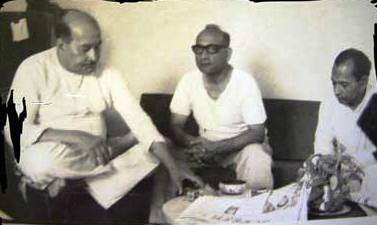 Josh was a close friend of both Nehru and Maulana Abul Kalam Azad, the Union Minister of India. He saw the face of a “criminal” in Patel but on advice from Nehru, when Josh met the Sardar, he was all praises for him. He did narrate it in his autobiography too in the chapter titled “Hizarat” (more than mere migration, it is a defection). He defected to Pakistan in 1956 even after his friend PM Nehru honoured him with Padma Bhushan in 1954 for literature and education! He defected, but was ditched and soon he got disillusioned. He wanted to return to India but Azad was keen to arrest him if he returned. 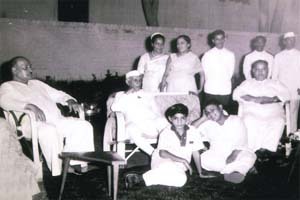 Both Nehru and Maulana were hurt as Josh did not accept their offer to send his family to Pakistan and he could be with the Indian Government, visiting his family for four months taking leave from the job. As time passed his outspoken temperament in Pakistan made him critical of not only the founder of Pakistan Mohammad Ali Jinnah but also of Field Marshal Ayub Khan and other rulers. He was branded as anti-Pakistan, a traitor and even an Indian agent. Blacklisted by the General Zia-ul-Haq government, the world renowned poet's works were taken off from the textbooks too. His 800-page autobiography “Yadon Ki Baarat” written in 1970 was banned in Pakistan. Only in 1999, a postal stamp was issued by the Pakistan Government in his memory since it was the centenary of the great poet. In 2012, Pakistan President Asif Ali Zardari conferred Hillal-I-Pakistan, the top civilian award, posthumously to Malihabadi. Urdu linguistic experts in Pakistan had applauded the step of the democratic government to confer the highest prestigious civil award to Josh in recognition of his great service to Urdu poetry and literature. His grandson Farrukh Jamal Malihabadi, born after Partition, brought out a well-researched book in 2014 on the legendary Urdu poet i.e. “Josh Malihabadi: Malihabad sey Islamabad Tak”. But no Pakistan Minister attended the launch function of the book! Like Jinnah and the Nawab of Junagadh, Josh Malihabadi too repented going to Pakistan but they could not revoke the decision and died in anguish despite all the name and fame they earned. (My task is change, my name is youth!